The two-day conference brought together the sharpest minds in the ICT ecosystem for an exchange of ideas, to discuss possible solutions and innovations for building a future-ready organisation. 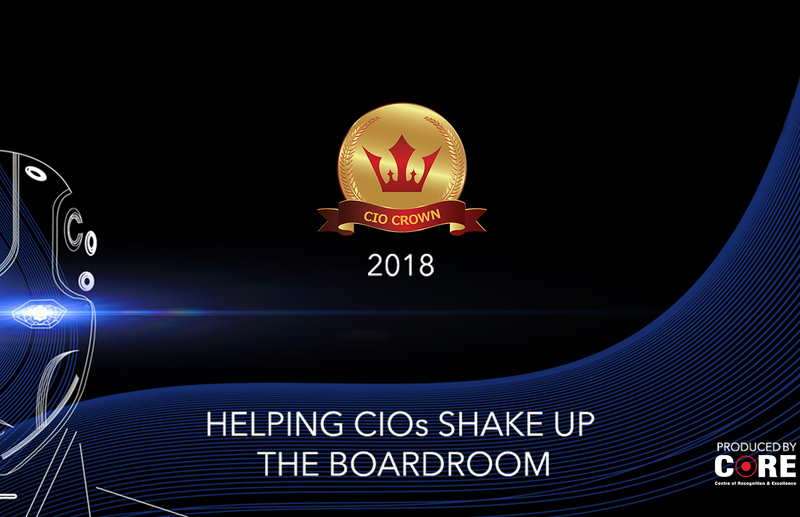 Now in its 6th successful year, CIO Crown is the premier gathering place for the top leaders in technology and business. This year’s edition was no different, with over 175 forward-thinking ICT leaders from across India coming together to share knowledge and glean insights on this year’s theme—Digital Demands a Seat for the CIO in the Boardroom. The topics covered ranged from strategies and skills required to be part of the board, to Digital Transformation, Cyber Security, Artificial Intelligence, Analytics, Hybrid Cloud, Date Centre Management, Technology Integration, and Customer Engagement. The conference featured a blend of highly interactive sessions including CIO panel discussions, thought leader talks, CIO case study presentations, sessions with industry authors, and independent speakers that pushed the envelope, encouraged debate, and provided insights and intelligence on better solutions needed in order to navigate this ever-evolving business and digital landscape. Delegates also benefitted from a two-day Management Development Program on Digital specially curated by Professor Vikas Gadre, Chairperson and Senior Adjunct Faculty – Information Systems, NMIMS, and Dr Arun Phadke, Professor NMIMS, WeSchool (Welingkar). Group CTO, Kotak Mahindra Bank and Group Companies, Manish Gaur, Head IT, Patanjali, Prakash Dharmani, Global CIO, Essel Propack Ltd, Mayur Danait, CIO Lupin, Ajay Meher, SVP and Head – IT and Post Production, Sony Pictures Networks Pvt Ltd, Pankaj Bhargava, CIO, Pidilite Industries, Amit Madhan, President and Group Head – IT and eBusiness, Thomas Cook India, Vivek Vishnu, CDO, Intex Technologies and author of Transformation Strategy for the Digital CIO, Ninad Karpe, author of Bond to Baba, Manish Choksi, President – International, IT, HR and Chemicals at Asian Paints Ltd, Sanjay Narkar, CTO, IDFC Bank Ltd and IDFC Group, Vikas Arora, VP – Global IT & Security, Toluna, and Sachin Jain, CIO, eValueserve. CIOs stand up for the national anthem. Anoop Mathur, President, CORE Media, Prakash Dharmani, Global CIO, Essel Propack Ltd, Sanjay Narkar, CTO, IDFC Bank & IDFC Group, Jitendra Singh, CIO, JK Cement, Umesh Mehta, EVP & Global CIO, Jubilant Life Sciences, George Asgari, Head of Regional Customer Engineering Team - APAC, Google Cloud, Anil Nadkarni, Director, NKGSB Bank, & Venkat Iyer, CIO, Wockhardt, start the event with the auspicious lighting of the lamp. Anoop Mathur, Founder & President, CORE Media, delivers the welcome note. Kunal Pande, Partner, KPMG, shares strategies for CIOs to take their place on the board. George Asgari, Head of Regional Customer Engineering Team - APAC, Google Cloud, talks about 'The New Business Challenge: Be Your Customer'. Aruna Rao, Group CTO, Kotak Mahindra Bank & Group Companies, discusses the 'Key Considerations for Technology Integration'. Avinash Joshi invites on stage two IT leaders—S Ramakrishnan, CIO, United Breweries & Sanjeev Sethi, AGM, Indian Bank—to share their views on how to be the disruptor & not the disrupted. Power panel on ‘Built to Last: Digital Manufacturing Transformation’ with session chair Prakash Dharmani, Global CIO, Essel Propack Ltd, & panellists Manish Gaur, Head IT, Patanjali, Venkat Iyer, CIO, Wockhardt, Milind Khamkar, Group CIO, Supermax, & Raghuveer HR, Director, Dimension Data. Vivek Vishnu, CDO, Intex Technologies, & author of Transformation Strategy for the Digital CIO, shares his 5-stage methodology for designing a transformed organisation. Kirthiwas Neelakantan, Director - Cloud Business, NetApp India & SAARC, discusses how CIOs can leverage the power of their data for their specific needs. Panel discussion on ‘Building Intelligent Automation’ with session chair Manish Choksi, President - International, IT, HR & Chemicals, Asian Paints Ltd, & panellists Mayur Danait, CIO, Lupin, & Sanjay Narkar, CTO, IDFC Bank & IDFC Group. Sandeep Pendharkar, Director & Head - Pointnext Sales, HPE India, provides a strategic plan for 'Accelerating Innovation in a Hybrid World'. Panel discussion on ‘Preparing IT for Surfing the Digital Wave’ with session chair Pankaj Bhargava, CIO Pidilite Industries, & panellists Sammeer Saurabbh, CTO, HDFC Securities Ltd, & Sunil Mehta, Senior VP & Area Systems Director (Central Asia), JWT. Distinguished members of the ICT ecosystem unveil CORE Media's CIO Power List 2018 Winners Book. Vikas Gadre, Chairperson & Senior Adjunct Faculty - Information Systems, NMIMS, conducts a Management Development Program on Digital. Dr Arun Phadke, Professor NMIMS, WeSchool (Welingkar), conducts a management development program specially curated for CIOs. Digital Guru Dr Nitin Paranjape provides some tips & tricks for advanced Google Search, SEO & maps. Sujit Janardanan, Head of Marketing - India, & Hardik Bhavishi, Customer Engineer, Google Cloud, discuss how CIOs can 'Build What’s Next with Google Cloud'. Vikas Arora, VP, Toluna, elaborates on how hackers breach enterprises & steps CIOs can take to defend their organisation. Suresh Kumar, Partner & CIO, Grant Thornton, chairs a panel discussion on ‘Funding for Emerging Technologies’ with panellists Amit Madhan, President & Group Head- IT & eBusiness, Thomas Cook India, & Sanjay Prasad, CIO, Tata Power. Lux Rao, Director – Solutions, Dimension Data India, & Harsh Marwah, Country Manager, Check Point Software Technologies, take to the stage to find out & analyse the CIOs journey from solutions to outcomes. Panel discussion on ‘Talent Management - Finding, Growing & Retaining the Best People’ with session chair Ajay Bakshi, Senior VP – Business Transformation, Aegis Ltd, & panellists Sachin Jain, CIO, Evalueserve, & Jitendra Singh, CIO, JK Cement Ltd.
Strategy consultant & author Ninad Karpe highlights successful business strategies that have worked from ‘Bond to Baba’. Mayank Srivastav, General Manager - Sales & Marketing, Schneider Electric, delves into reimagining the data centre with CIOs. Interactive session with Pramod Sharda, CEO, Icewarp India, Sudhir Kanvinde, Associate VP & CIO, IL&FS Transportation Networks Ltd, Ajay Bakshi, Senior VP – Business Transformation, Aegis Ltd, Selvan Mohan, AVP-IT, IndiaNivesh Securities Pvt Ltd, & Sanjay Narkar, CTO, IDFC Bank & IDFC Group, on what CIOs look for in a collaboration tool. Adam Paclt, Global, CEO, IceWarp, discusses 'Redefining Communication & Collaboration Globally'. Ajay Kumar Meher, Head - IT, Digital Technology & Broadcast Engineering, Sony Pictures Networks India, provides behind the scenes insights into Sony TVs success.